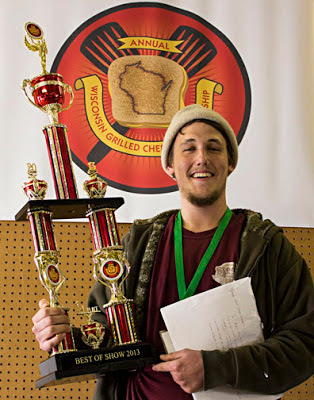 SustainableWork: 2013 Wisconsin Grilled Cheese Championship winners! With ingredient lists... Yum! 2013 Wisconsin Grilled Cheese Championship winners! With ingredient lists... Yum! We had a wonderful day in Iowa County Wisconsin for the 2013 Wisconsin Grilled Cheese Championships. Great turnout. About 2,000 people. I had a lovely chat with a group from London England. They had read about the event in the Chicago Tribune while visiting there and drove up for the day. How cool. 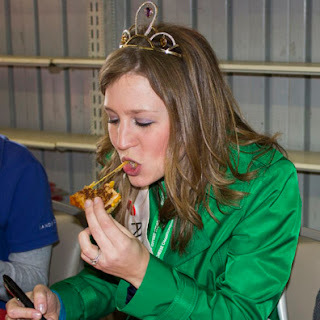 Who says economic development can't be focused on food and fun! I'm very proud that our Iowa County (WI) Area Economic Development Corp. hosted this amazing event. 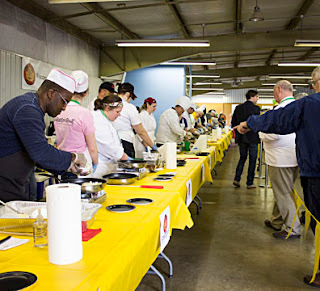 This was another great opportunity to prove how valuable food and agriculture can be to economic development. Many thanks to my friend and former Board Chair of the Iowa County EDC, Dr. Lorin Toepper who created and organized this great event. 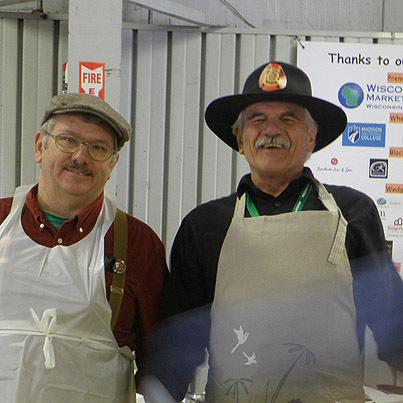 We are also grateful for the support from the Wisconsin Milk Marketing Board and many other sponsors. Congratulations to all the winners! Thanks to all competitors, volunteers and Lorin Toepper who made this all happen. 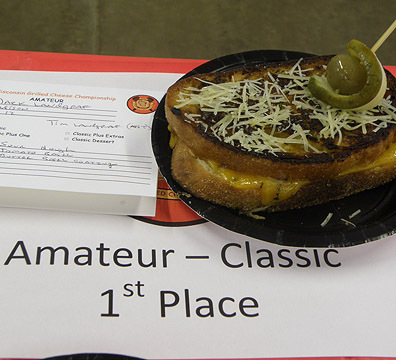 Many thanks to everyone who visited our Wisconsin Grilled Cheese Championship in beautiful Iowa County, Wisconsin. 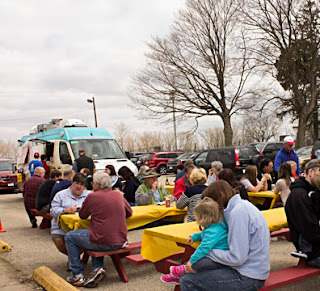 Food and fun. My kind of economic development!